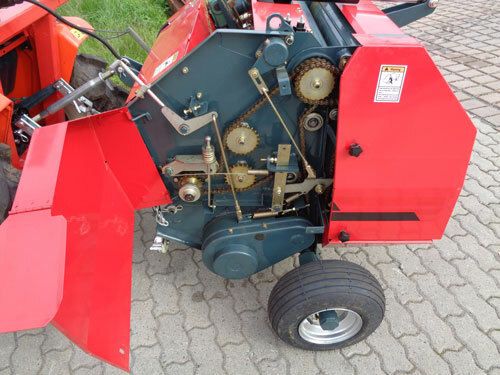 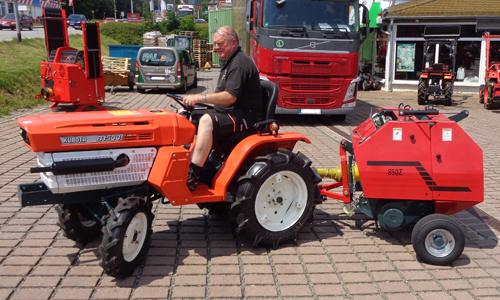 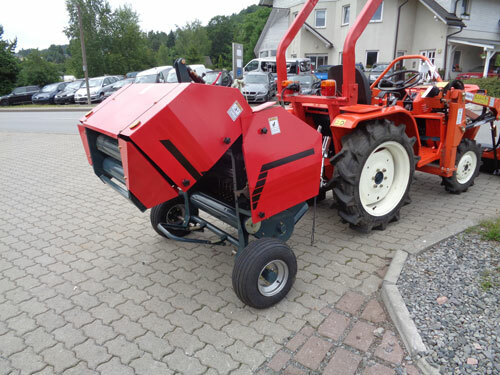 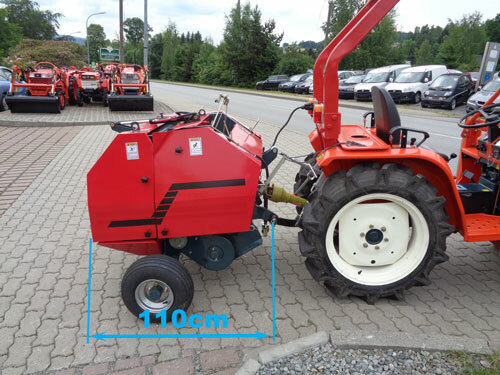 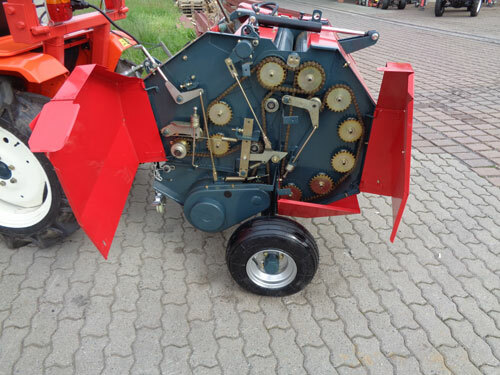 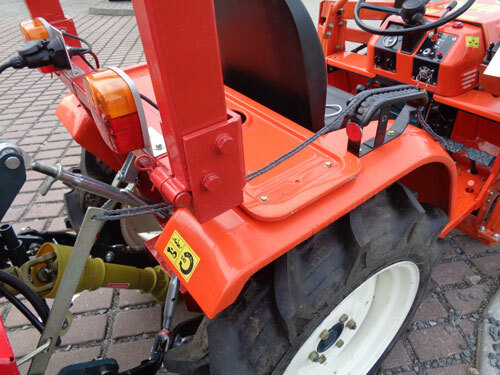 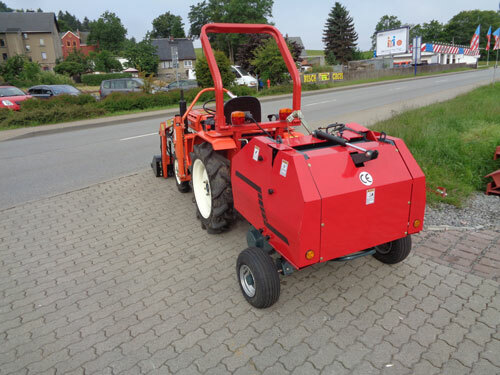 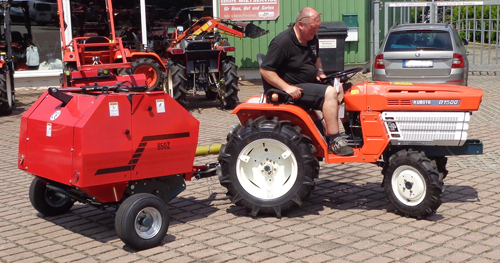 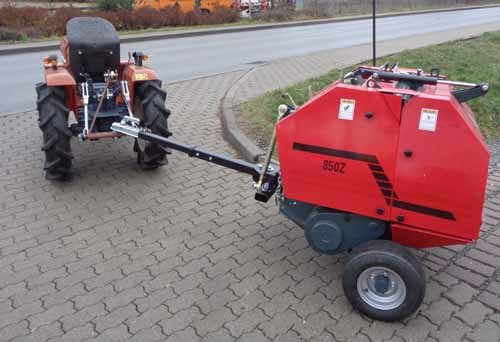 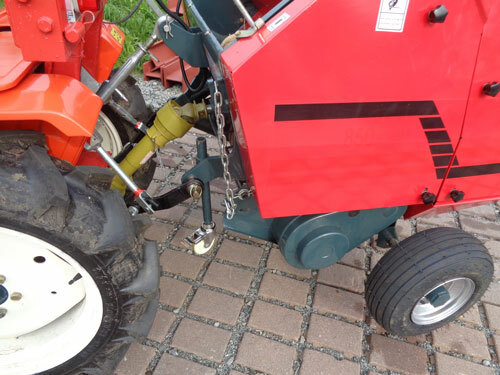 This baler can be connected to tractors - PTO drive. 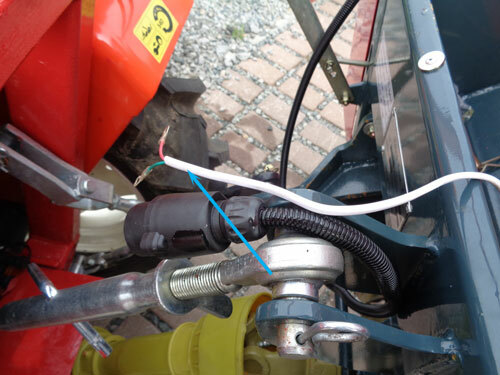 It is attached to the rear three-point linkage of the tractor. 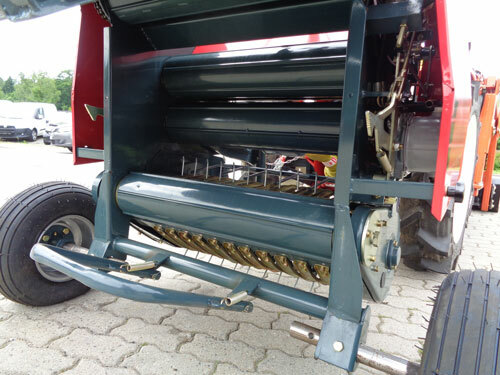 Thus, the windrow is below the tractor. 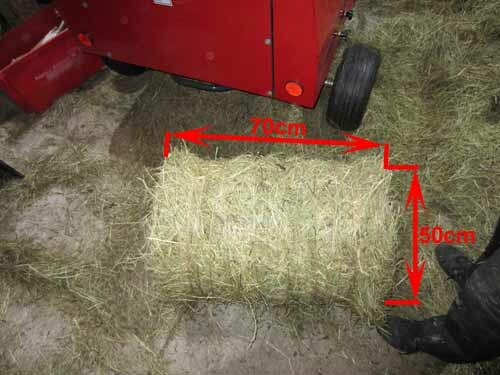 The bales have a diameter of about 50cm and a length of about 70cm. 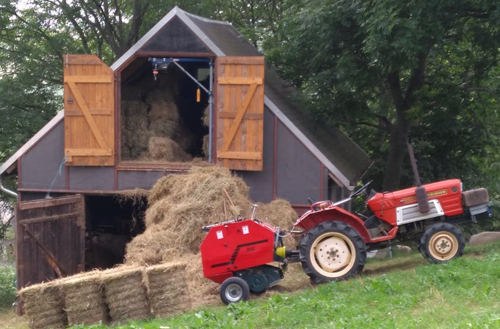 The hay bales is not wrapped in a mesh but with a rope. 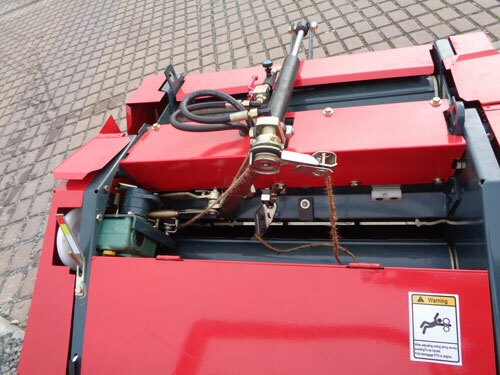 The baler has no central lubrication, therefore it must be lubricated separately. 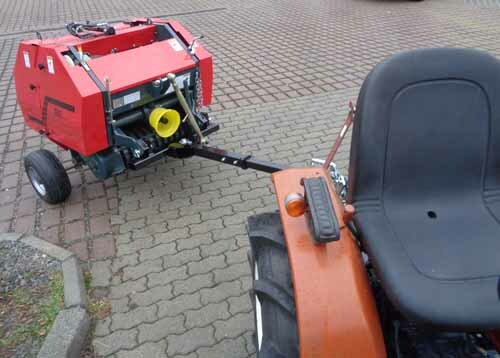 It is characterized by simple technology. 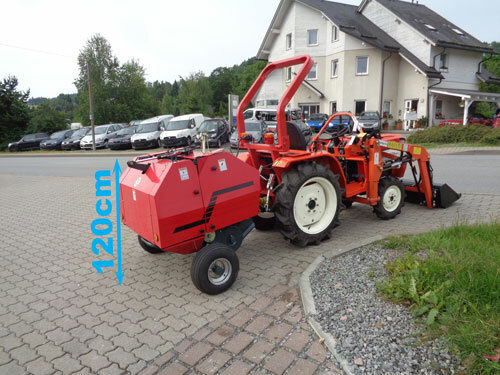 It has been specifically designed for use in mountainous terrain. 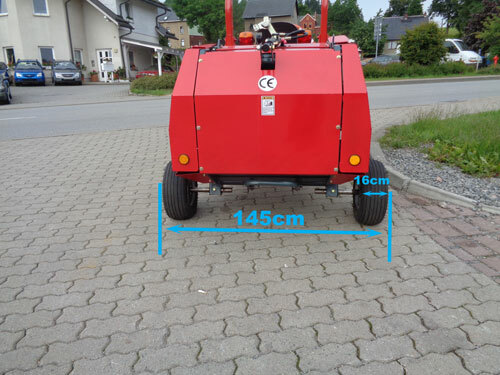 With its low center of gravity tipping is almost impossible. 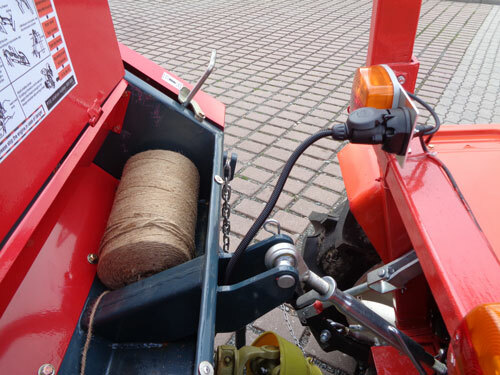 About every 40 seconds the machine produces a hay bale that weighs 22 kg. 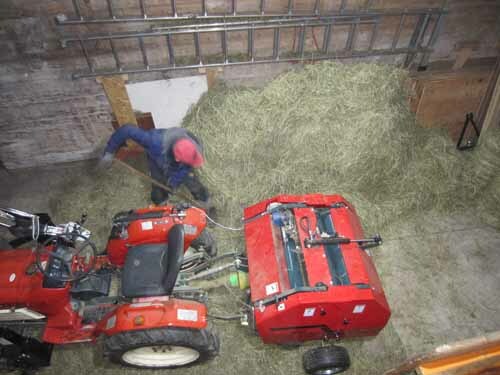 Bale density can be adjusted in 3 steps. 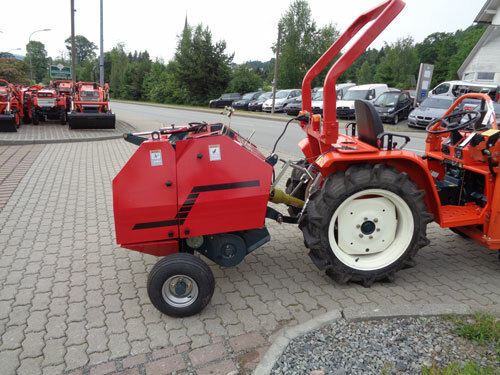 The baler is tested and set in the manufacturer's factory! 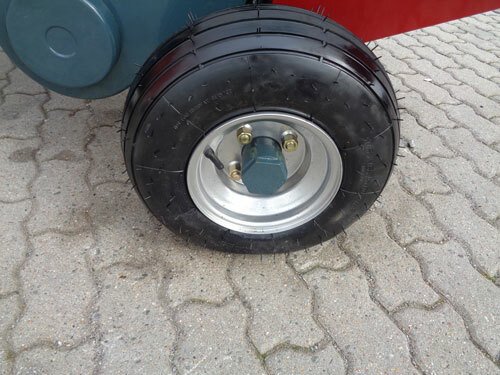 The wheel set is not mounted. 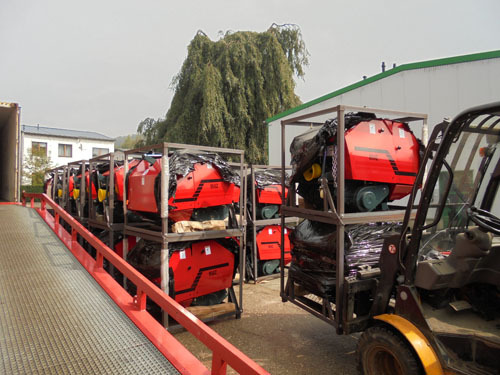 The bale press was then packed into a transport iron rack 1.15 x 1.15 m x 1.20 m.
The baler is lowered. 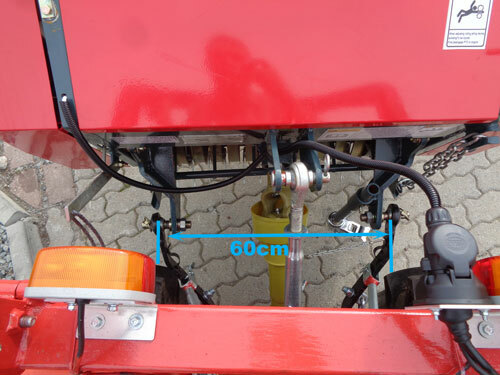 The blade holder is lowered and is set with the chain to working height, turn on and start PTO. 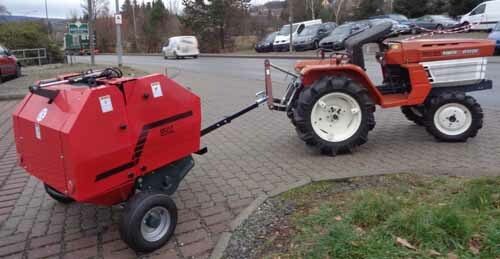 The electric cable is connected to the battery. 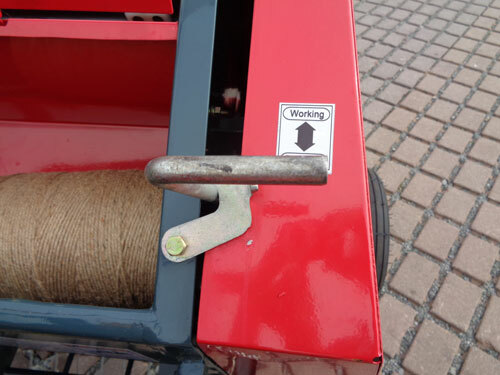 If the bales pressed it honks automatically. 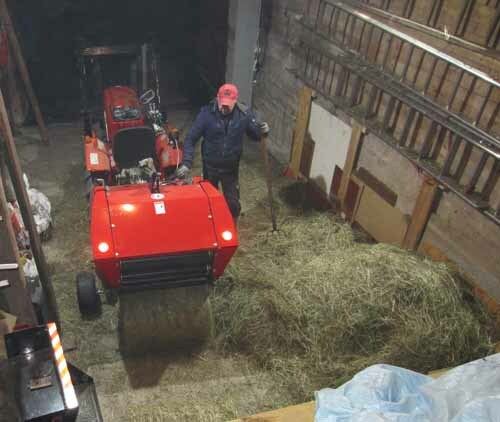 Then the wrapping arm binds moving to and fro the round bale. 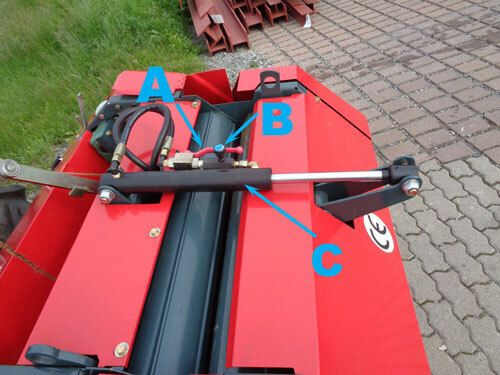 If the bale is bound, the arm in the middle stops. 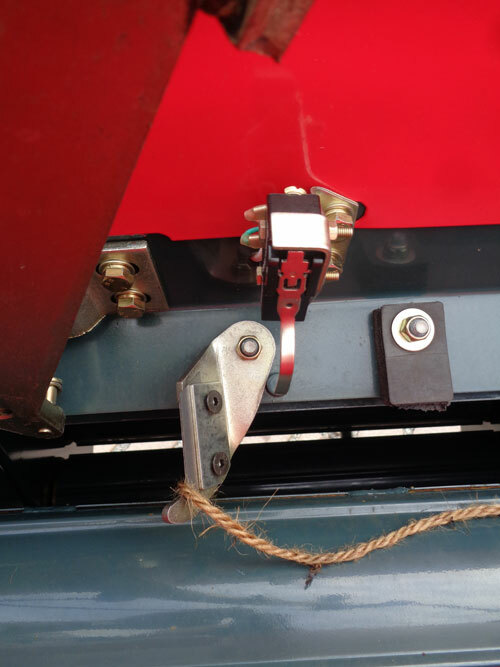 Per hand the rope / lever is pulled for the ejection and the bale is ejected.